Check out our most recent install in Scottsdale Arizona. 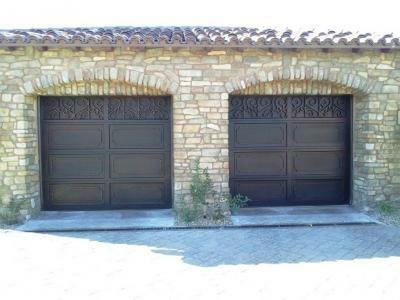 Single iron garage doors, hand forged by licensed welders with 14 gauge panels are sure to secure and enhance the appeal of your home. With quality designers, Signature Iron Doors offers an extensive selection of designs for iron doors. This family wanted a complete iron piece, so we created a piece without our standard glass windows. Call us and come visit our showroom in Phoenix Arizona to meet with a sales representative and learn about your iron garage door options.